Candide Matching Band was added to your cart. 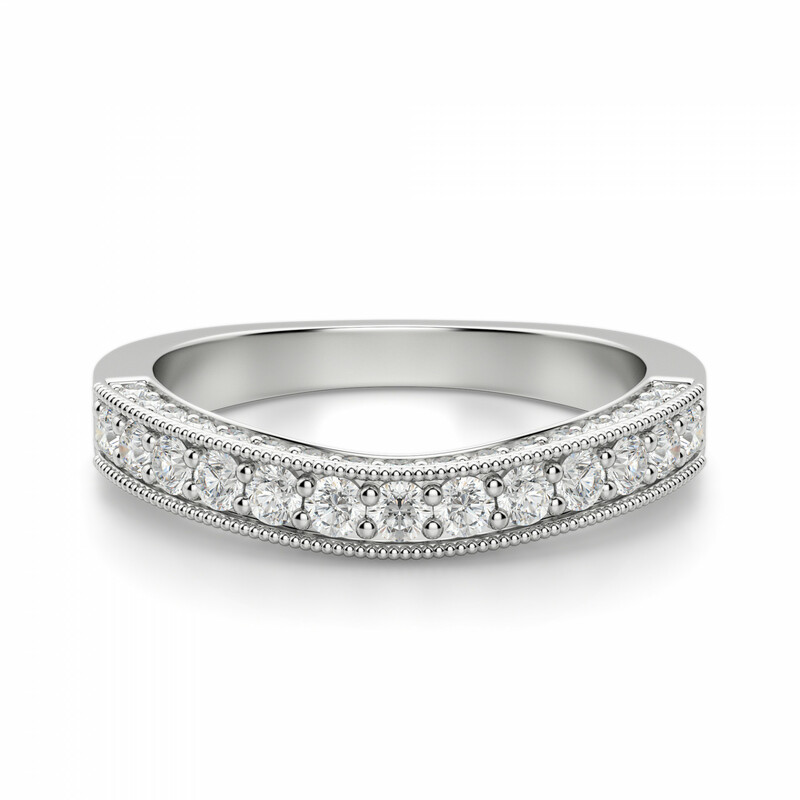 This wedding band echoes the look of the Candide engagement ring, with micro-set Nexus Diamond Alternatives and detailed metal work. 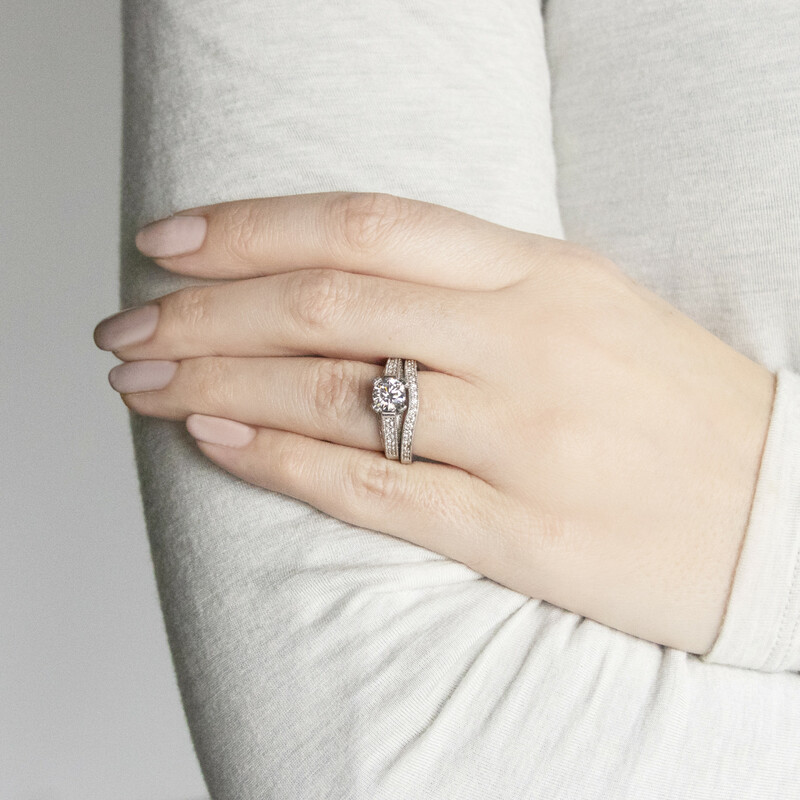 The slight curve of the band fits alongside the engagement ring perfectly, completing this vintage-inspired wedding set. I bought the Candide engagement ring and this matching band. 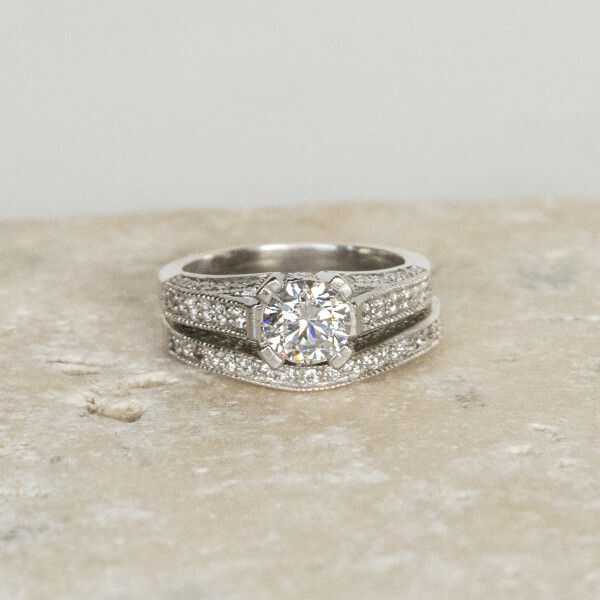 However, I don't recommend this band if you like to wear your wedding band without the ring. 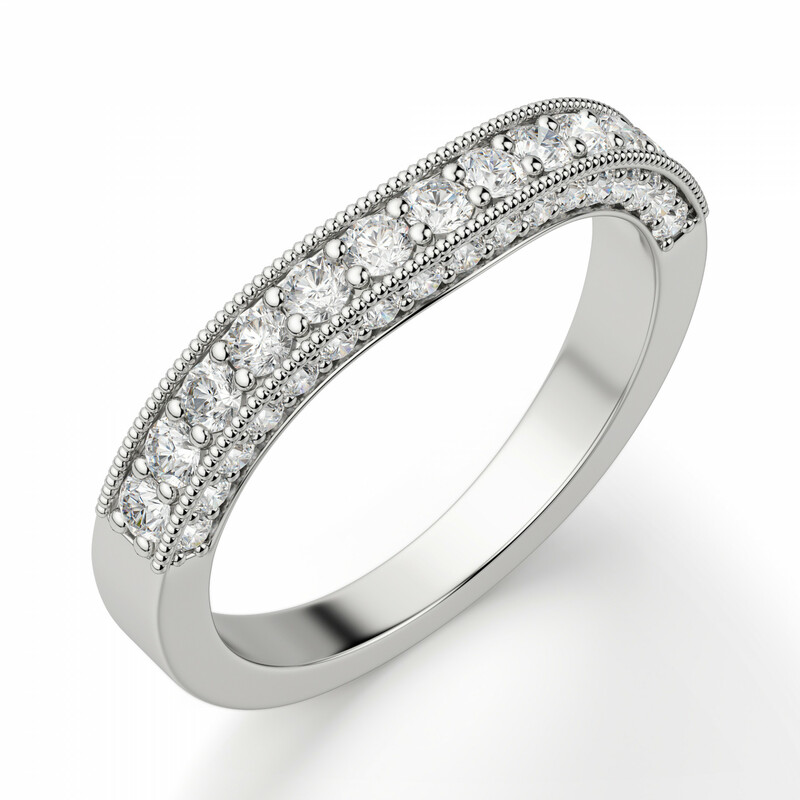 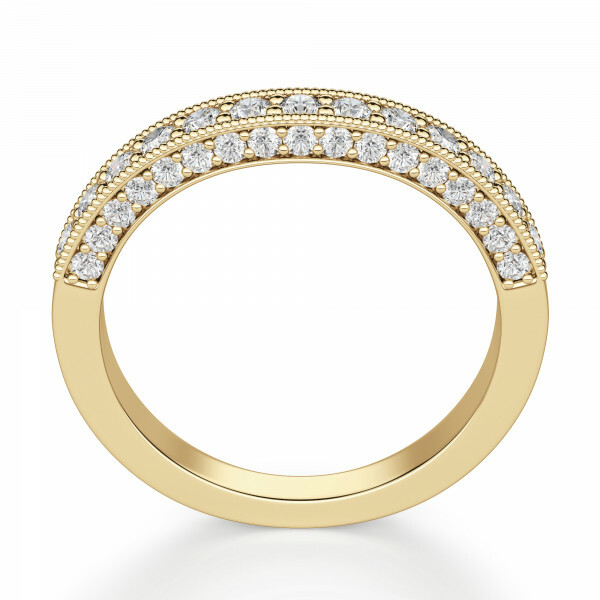 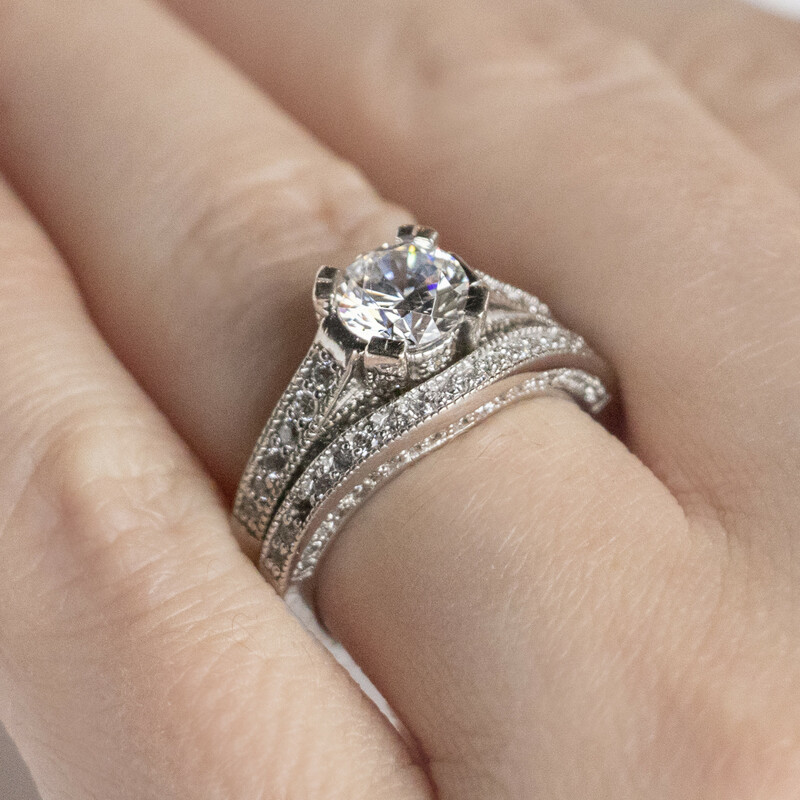 It is slightly curved to hug the engagement ring and looks a bit odd when worn on its own. I does enhance the look of the engagement ring...larger profile as it is a set...but I think the engagement ring looks just as good on its own.